MOTIVATED SELLERS! 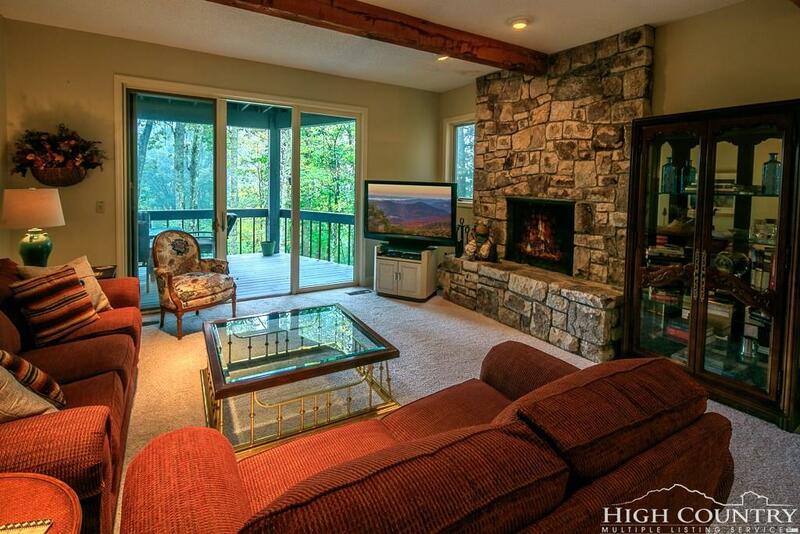 BEAUTIFUL, SPACIOUS & AFFORDABLE 3 BED/2 BATH CONDO W/ONE CAR GARAGE Located in the Prestigious Gated Community of Linville Ridge in the Blue Ridge Mountains, convenient to the town of Banner Elk, Sugar Mountain Ski Resort & Beech Mountain Ski Resort. Linville Ridge offers an incredible club membership with a vast array of activities.. Access to the Highest Golf Course east of the Mississippi, Private fine dining, Spa & Salon, Fitness/Pool, Tennis... If you are looking for a turn-key, lock & leave mountain getaway, this unit is perfect! Offered fully furnished at $255,000. Wonderfully laid out floor plan.. large bedrooms/baths.. charming living room with gorgeous wood-burning stone fireplace.. full dining room.. galley kitchen w/additional breakfast nook & wet bar!.. spacious covered back porch with view of Grandfather Mountain!! Exterior maintenance provided by the POA, you can rest assured your mountain home will be well cared for! Linville Ridge membership dues vary based on the kind of membership (ask for details). $2000 Allowance Towards New Carpet (or Closing Costs - you choose) with acceptable offering price! Listing provided courtesy of Samantha Benfield of Keller Williams High Country Realty.